302) It was cold. It was snowing. It was dark. I wasn’t too happy about being out in these conditions, but this moment had to be captured. 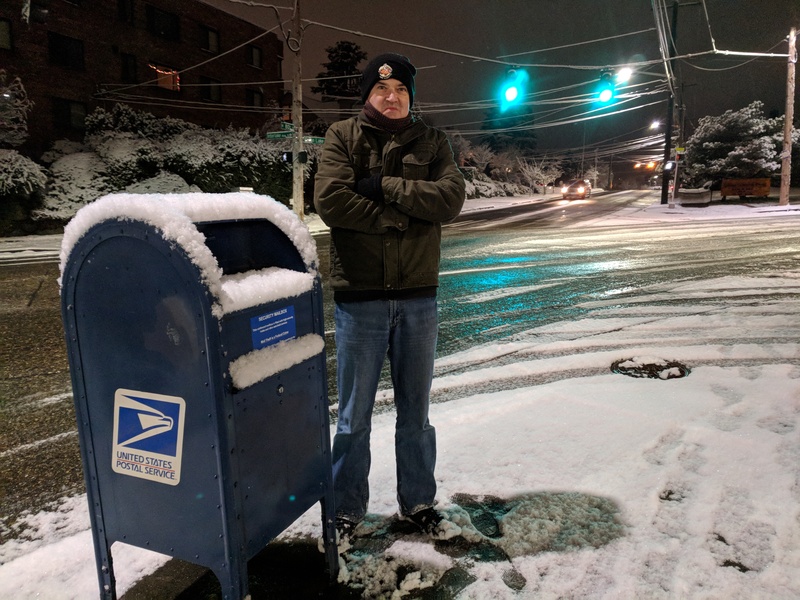 Notice my tense, grumpy stance… now compare it to the defiant proud positioning of this mailbox. It doesn’t care about a dusting of snow. It doesn’t care about sub-freezing temperatures. It just wants to do it’s job and collect your mail.